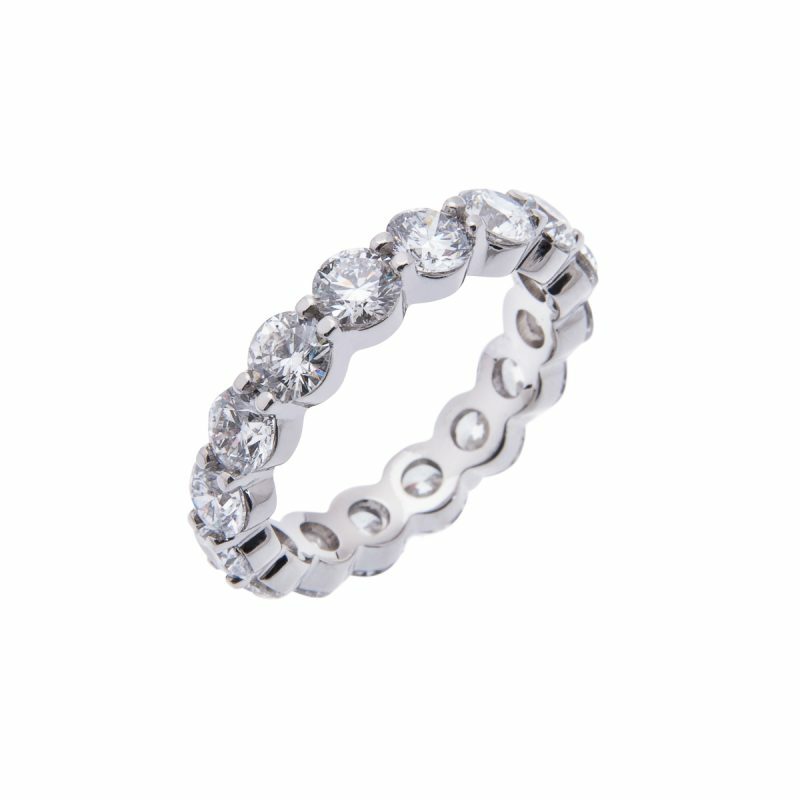 Platinum full eternity ring set with 2 rows of emerald cut diamonds, all mounted in a claw setting. An unmistakable ice white glow from this cut of diamonds, securely enclosed in this hand made setting. 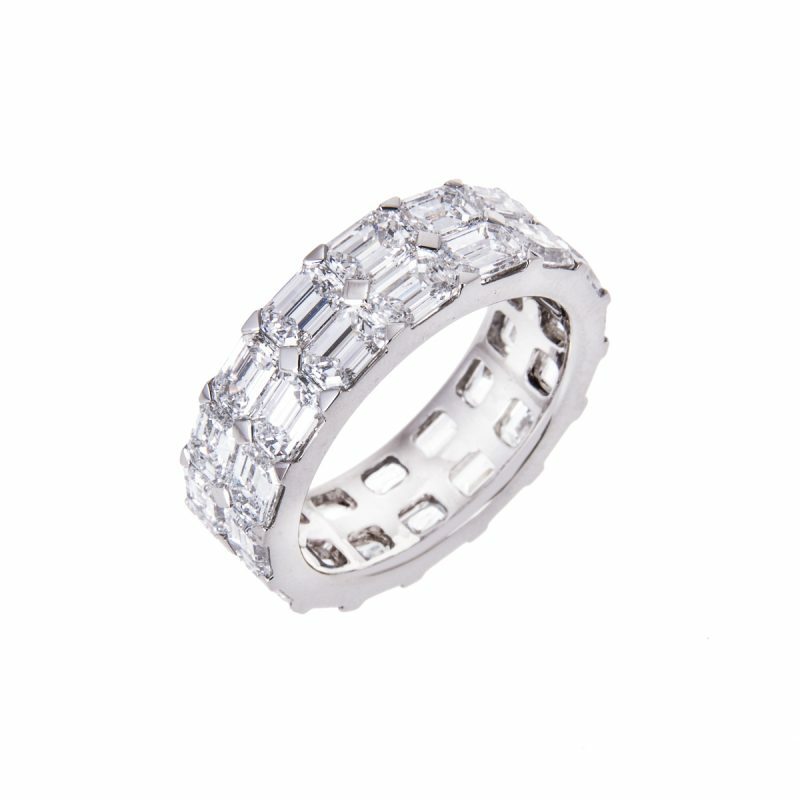 For the women of timeless elegance, the ring to epitomise her taste. Set with a double ribbon of emerald cut diamonds, each icy baton of rare white gem is perfectly matched. Worn with inherent style as others can only stand and sigh.